Following last year’s sublime Bedroom EP, released on her own label, 20-year-old Liv Dawson is back with this irresistible new single. Wrapped in joyous pop melodies and containing some sweet hooks, as well as a splash of attitude, Pushing 21 is a gorgeous radio-friendly song (minus the swear words) about moving on and empowerment. In its first week of release, it quickly amassed over 250k streams with support from Spotify (13 NMF, New Pop Revolution, Chill Hits), as well as garnering tastemaker praise from likes of the Independent, the Line of Best Fit, Wonderland and Spindle magazine. This week the track picked up its first play from Adele Roberts on Radio 1’s Best New Pop and dropped its slick accompanying video, watch it here. 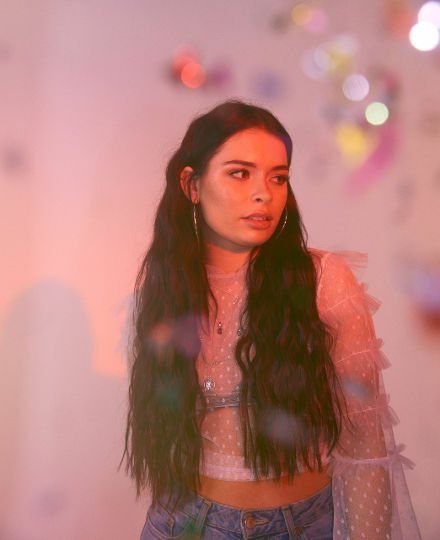 Primed for further blog coverage and radio spins over the coming weeks, Pushing 21 again demonstrates her impeccable writing talent, and with over 42 million streams to date, plus support slots for Tom Walker, Jessie Ware, Honne and Khalid already under her belt, 2019 is gearing up to be an incredible year for this rising artist.